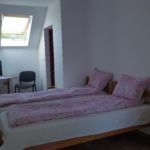 Rooms, services 9 comfortably furnished rooms are offered by Piroska Ház Torockó to guests looking for accommodation in Rimetea. The guesthouse is pet-friendly, providing a comfortable and pleasant stay for you and your small pet as well. The guesthouse is offering you freshly prepared fine local meals in its restaurant every day. In case you are arriving by car, you will have the opportunity to leave it in an own parking lot of the guesthouse without paying any additional costs. At the guesthouse you may go online via wireless Internet connection (WiFi). 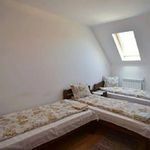 An exact and detailed list of equipment in the rooms and of the services provided by Piroska Ház Torockó you will find on the information sheet below and on the information sheet of the individual rooms, including any applicable additional fees. Catering The indicated room prices do not include catering. When making your reservation, you may also request a different type of catering: no boarding, breakfast, half board. Payment When paying your room, you may take the following payment method: cash. Arrival, opening hours The earliest time to check in to your room is 14:00, the latest time to check out of your room is 10:00. The personnel can communicate with you in the following languages: English, Hungarian and Romanian. 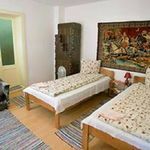 The rating of Piroska Ház Torockó is 9.6 from the maximum 10, 122 based on actual and valid guest ratings and reviews. "Nagyon kedvesek voltak, mindenre odafigyeltek az ételek tökéletesek voltak.Már alig várjuk ,hogy újra menjünk.Köszönjük!!!!!" "Kellemes, családias, finom és bőséges ételek. Telefon beszélgetés után eltekintettek az előleg utalásától." "A háziak nagyon barátságosak, szolgálatkészek, közvetlenek, kedvesek.Ha még egyszer Torockóra mennénk, ismét ezt a házat választanánk. A szálláshely megközelíthetőségével, rendezettségével, és szolgáltatásaival teljes mértékben elégedettek voltunk." Based on the reviews and comments of actual guests, the services of the Piroska Ház Torockó have received a high rating of 9.8/10.